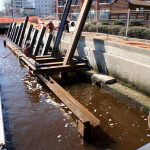 Crofton performed an underwater inspection of a failed section of a seawall along the river front of Portsmouth, Virginia. 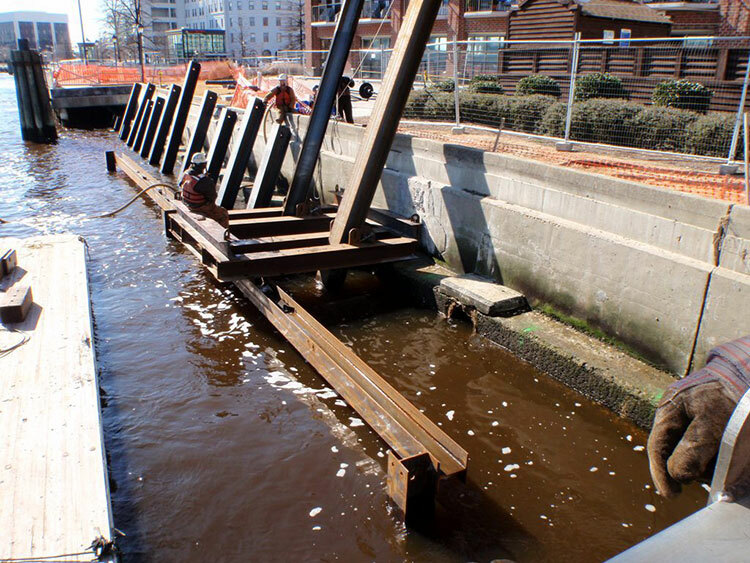 It was determined that the reaction piles of the existing seawall had failed and as a result, the existing seawall had deflected and caused the double T deck panels for the elevated boardwalk to become unsafe for the public. 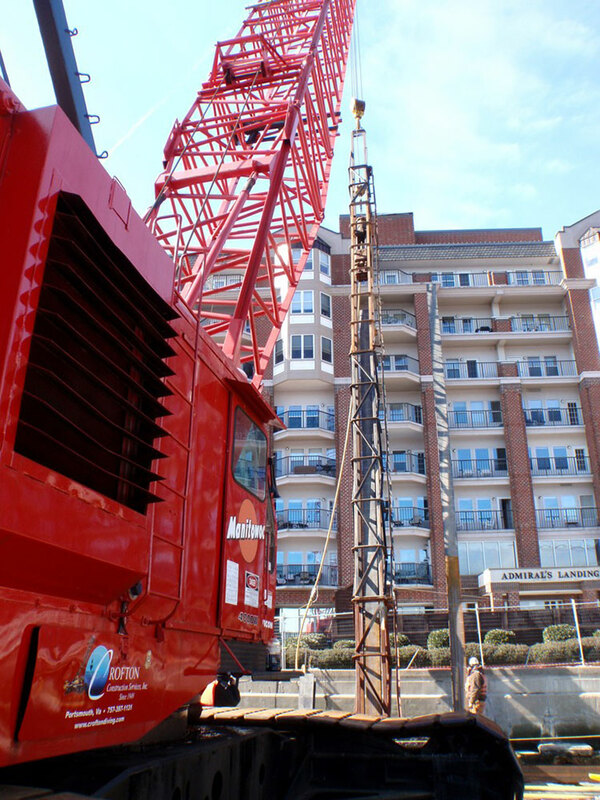 Crofton was hired to perform an emergency repair. 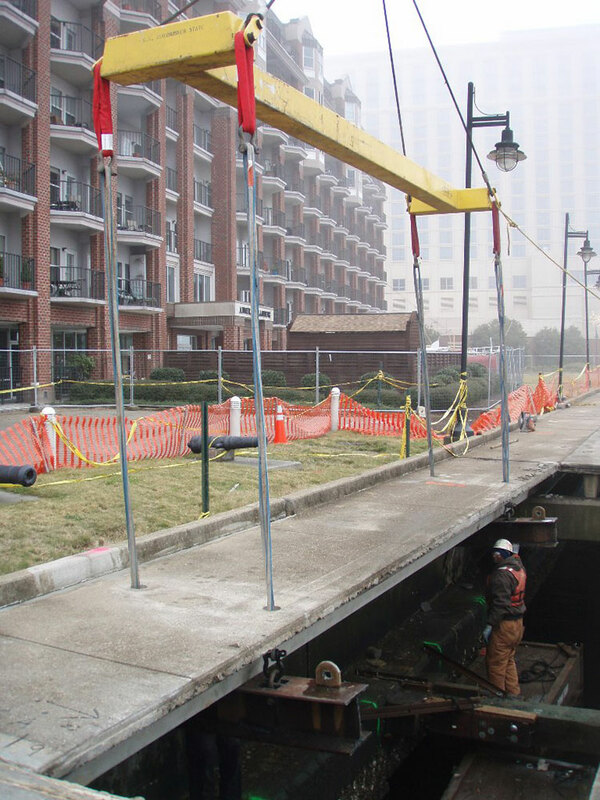 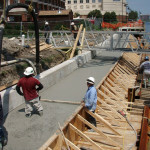 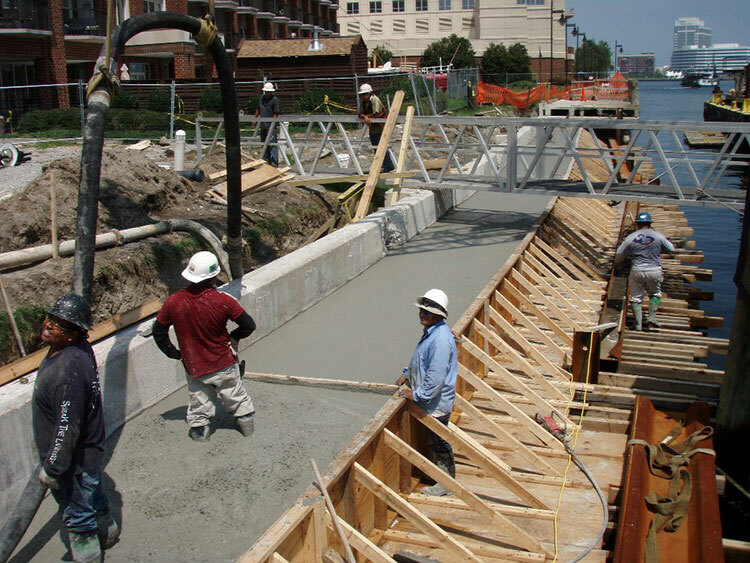 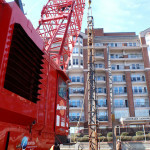 A floating crane barge mobilized to the project site, removed the existing deck sections, demolished damaged concrete pile bents, demolished the existing reaction piles, drove new steel sheet pile 2’ outboard of the existing seawall, poured a concrete cap for the seawall, installed 4 new concrete pile bents to support the concrete deck sections, and then reinstalled the concrete deck. 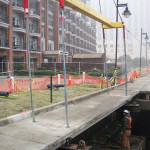 Removal of existing concrete deck sections, removal of existing pile bents, installation of 140 linear feet of steel sheetpile, installation of battered steel H-pile reaction beams, installation of 4 each concrete pile bents, pouring a concrete cap on the new sheetpile wall, and reinstalling the deck sections.